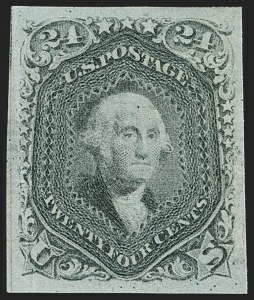 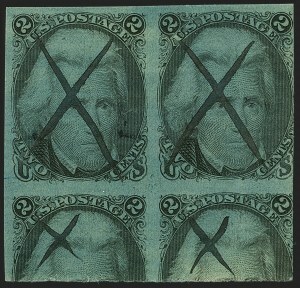 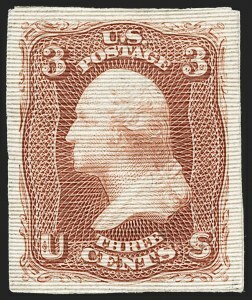 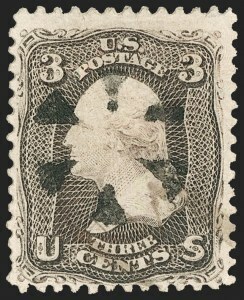 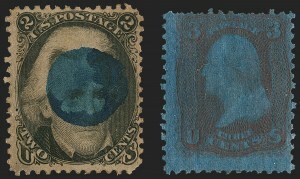 VERY FINE AND RARE PLATE BLOCK OF THE 3-CENT 1861 ISSUE IN THE ROSE LAKE SHADE ON IMPERFORATE STAMP PAPER. 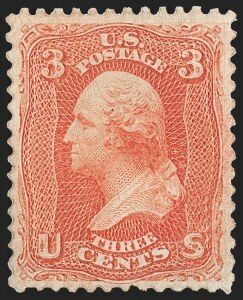 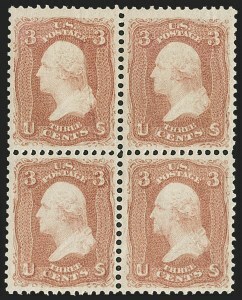 This is a sensitive ink printing of the 3c Washington design. 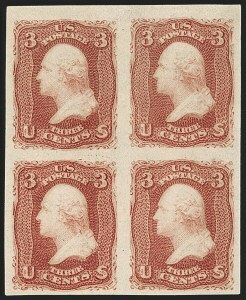 It is extremely rare in plate block form. 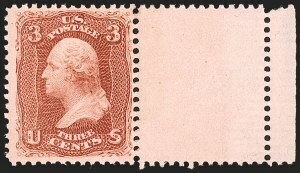 3c Brown Rose, Imperforate, Experimental Ribbed Paper (65c var). 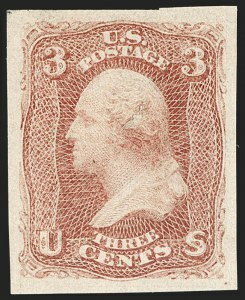 Large margins all around, deep rich color, clear horizontal finely ribbed paper lines, fresh and Very Fine, unusual and attractive variety, ex "Lake Shore"